Built in 1920 having been designed by the famous Dr Alister MacKenzie, designer of the Augusta National in America and many other championship courses around the world, this well maintained 9 hole course provides a good challenge with some tight fairways, tricky approach shots and guarded greens. Natural hazards and an openness to the prevailing winds adds to the enjoyment. A relatively easy short hole with dogleg to the left as you start your first or second nine. 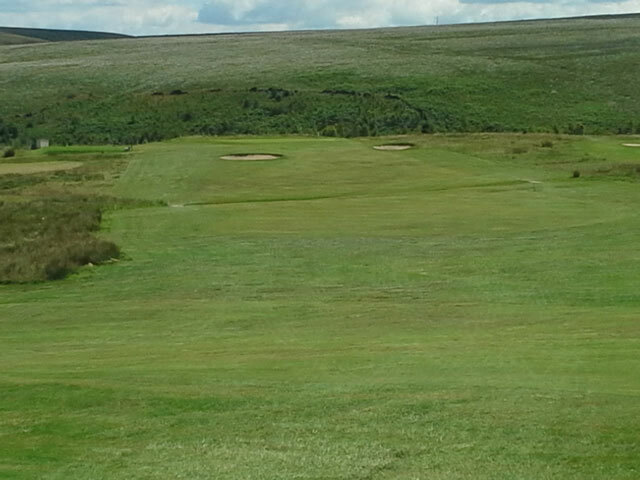 In taking the orthodox four-shot route you should aim to get your ball well down the middle of a quite wide fairway. You will then have a relatively easy second shot to the two-tier green. If your second shot happens to be a bit off line it is better to be a little left, using the slope from which you may bounce onto the green. 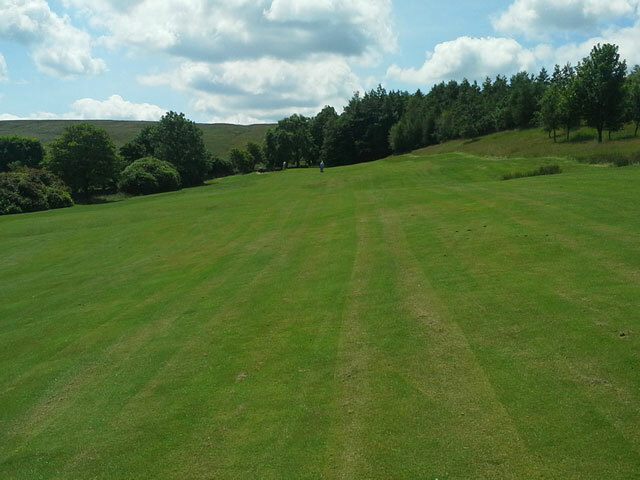 A challenging uphill hole on which your tee shot is liable to roll to the left on the undulating fairway. Road to the left is out-of-bounds so you will need an accurate approach to the green as the fairway narrows and the road becomes ominously close. Check for oncoming traffic before you cross the road to the next tee. Care is required on this tee as you arrive at a point on the course where three fairways intersect. If there are other golfers coming up the 5th/14th or going down the 9th/18th fairways a mix of courtesy and common sense will be required. You may have to wait for them to complete their shots on the shared fairway or move out of range. Alternatively, they may signal to you that you should go ahead and play your tee shots. Holes 3 and 12 are each a short par 4 with wide fairway but a few traps awaiting the unwary. If you are a longer hitter you can confidently send your ball well beyond the ditch that runs across the fairway. You may even try for the green. If you are not so long you should aim to place you ball short of the ditch where the green is still easily reachable in two shots. 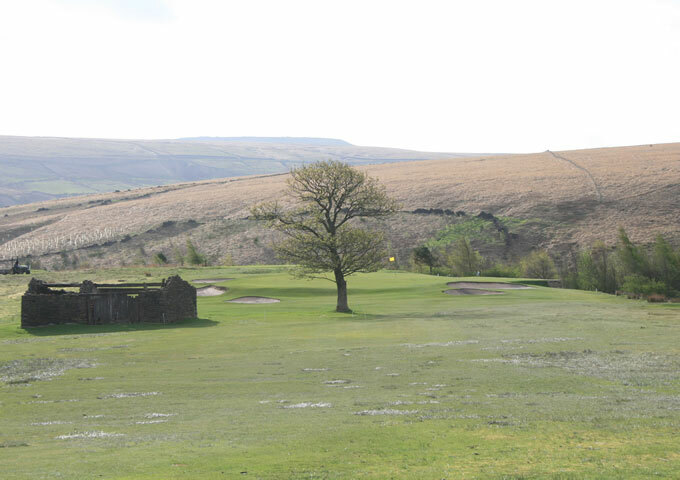 Long or short, there is thick rough to the left of the fairway and out-of-bounds protected only by a very low wall immediately beyond the green. 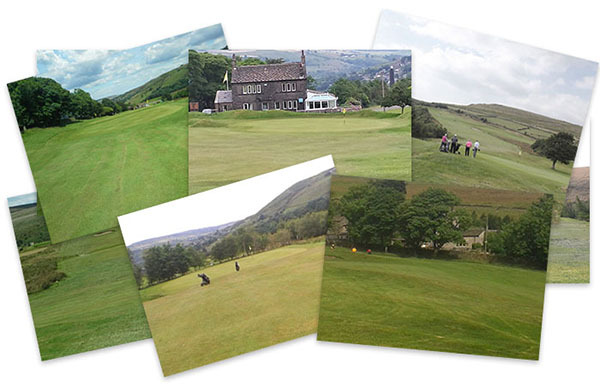 Two downhill par 3 holes – the same green from different tees. Both are around 200 yards and require accuracy off the tee to avoid the rough to the right or the requirement for a challenging chip shot from the left. Easy holes if you can hit a straight shot! Your choice of club may be influenced by wind strength and direction. Anything from an 8 iron to a driver! A challenging par 4 with rough to the left awaiting an errant tee shot but if you get off a good tee shot the remainder of this hole with its long, uphill, fairway is pretty straight forward. 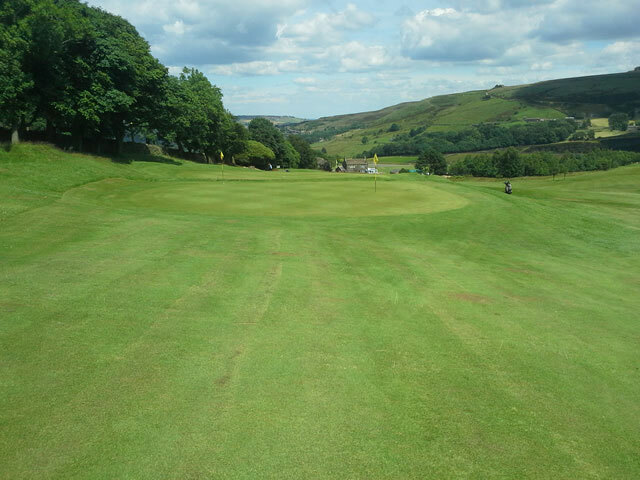 Better to be short of the pin on a green that slopes quite significantly from back to front but it is easy to be too cautious and have your ball falling short of the green on the uphill approach. The signature 6th/15th is a tricky par 3 with the green protected by bunkers front and left, a tree directly in front and an old roofless barn to the left. It is served by tees that are approx. 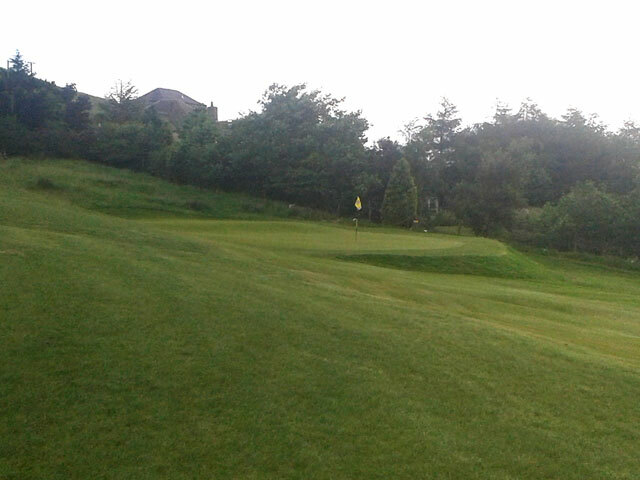 160 yards (hole 6) and 190 yards (hole 15) from the green. Your perfect tee shot will send the ball high over the tree where it will land and hold on a sloping green. 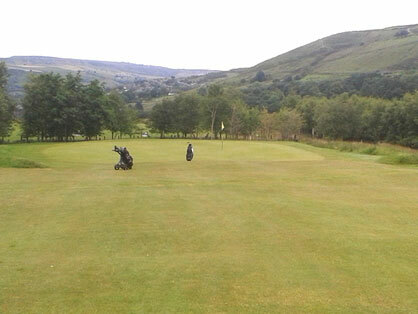 You could try a fade or draw to left or right of the tree or the choice of several Marsden golfers, aim at the tree whist being confident that you will miss it. Any indecision and you will be liable to hit the barn door! A fun hole from which anyone going into one of the four bunkers is encouraged to donate 50p to Mr Captain’s chosen charity. Long uphill par 4 on the front nine and par 5 on the back nine. These are two challenging holes especially if driving into the prevailing west wind. A wide fairway should be simple to find but left or right off the tee will find you out-of-bounds. A steep climb eventually gets you to the two tier green which is cut into the hillside. 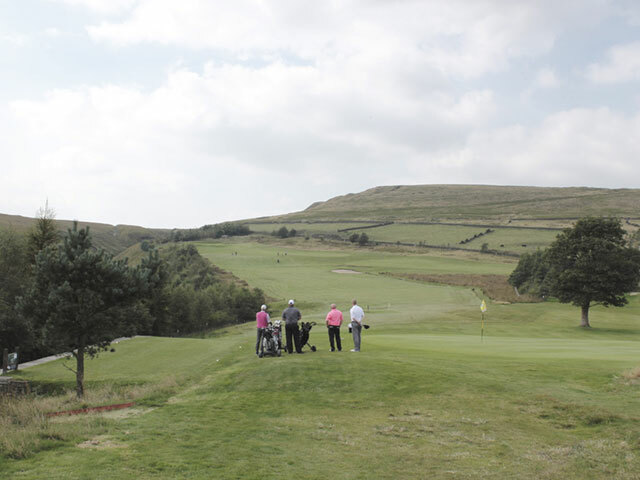 Enjoy the stunning views from the tee at the top of the course before sending your ball down a sloping fairway where it is likely to roll to the right – arguable the best location for your second shot to the green. There is deep rough to the right which must be avoided. Holes 8 and 17 demand a good second shot. If you are short you will probably roll down to the right but if too long you may run through to the adjacent 5th/14th green in which event you must lift and place your ball off that green, not nearer the pin, before playing it back onto the 8th/17th. 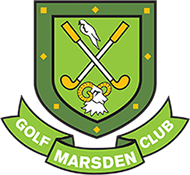 Long 240 yards par 3 and a short 304 yards par 4 for which we have borrowed our description from the first Marsden Golf Club Official Handbook, published 1928. If you are moving on to the 10th tee you will cross the road for your second nine holes. 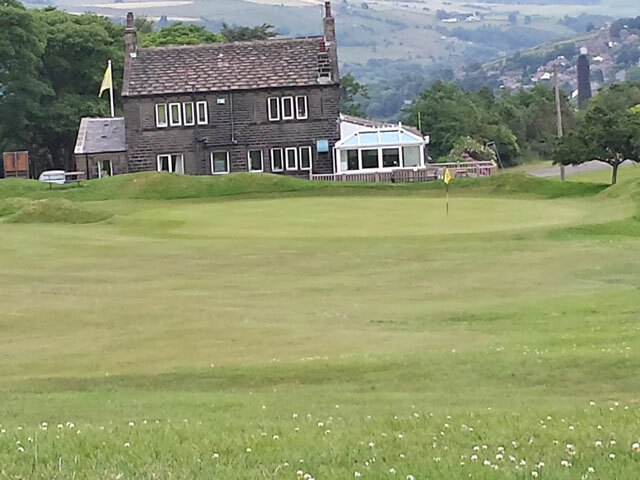 If you have completed eighteen holes the 19th awaits. Note: About half of the ladies tees are positioned in advance of the white tees to which the above distances and stroke indexes refer. Other ladies tees are at the same or similar distance to the green. Regardless of tee location, comments on course characteristics apply equally to men and women golfers.